I wasn’t planning to write another article this week – as tomorrow morning (Friday), I’m taping a MUST LISTEN interview with one of the smartest investors in the Precious Metals/Cryptocurrency space; Edward Blake, the Renegade Investor. Not to mention, it’s the middle of August, and I have yet to take a day off from publishing all year. However, as we are living through what may well be a major inflection point in history – monetary and otherwise – I figured I’d pen a few thoughts. What the heck? Diana and Sylvie are visiting relatives in New York, so who’s going to stop me? Boilerplate manipulation commentary notwithstanding, it’s not where we are now that matters, but where we are going – likely, much sooner than most can imagine. Which is, a time when – at least, in real terms – these “roles” will be reversed, as capital floods out of historically overvalued financial assets into “scarcity assets” like Precious Metals and Bitcoin; i.e., the “twin destroyers of the fiat regime.” As in my view, the “ultimate monetary death cross” – when the majority of the world’s population realizes crypto is destined to replace fiat currency – is coming soon. And when it does, no adjectives have yet been created to describe the mad rush of tens of trillions of fiat toilet paper into the handful of tiny scarcity asset markets. 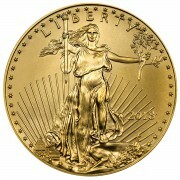 Even Ray Dalio says “buy gold before it’s too late” – as I assure you, someday soon, it will be. 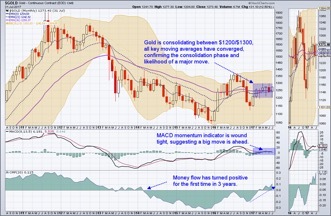 Care of said “monetary death cross,” I have recently updated my longstanding view that the gold Cartel will be overwhelmed by physical demand when “the Big One” finally hits. This is still a viable possibility, of course – particularly if a crisis is triggered by a shocking political, economic, or military event; such as, a U.S. invasion of North Korea, particularly if Kim Jung-Un’s “response” is what I think it will be. That said, I now believe the more likely scenario is one where the Cartel voluntarily disbands, not that they would ever admit it. The reason being, that when the crypto-currency revolution sweeps across the globe, “they” will realize there’s no point trying to hold PM prices down anymore – particularly because so little “manipulation ammunition” remains after two decades of relentless suppression, amidst an environment of surging global demand. Thus, when PMs rise to five, ten, or even 20x their current levels, no one will care except the handful of investors wise enough to have bought them at today’s bargain basement prices. And the best part is, governments will be so busy flailing at the “windmills” known as decentralized crypto-currencies, they won’t bother to vilify PM investors; let alone, enact windfall taxes or attempt to restrict your ownership. In other words, the best-case scenario for a group of die-hard investors, who deserve good fortune more than any others. I couldn’t have been blunter about how near I believe that time is, in taking the bold step to pen the “most Precious Metal bullish I’ve ever been” two weeks ago. And per today’s title, it couldn’t be clearer that the winds of change are blowing our way. Yes, the potential war with North Korea overshadows all else, but man are things going the wrong way for the Cartel, on all fronts. From plummeting bond yields, oil prices, and the dollar (wow, has “Trump-flation” died); to rising market volatility; plunging “inflation” data – yielding an increased imminence of QE4; historically ugly demographics; the expanding “retail Apocalypse”; the upcoming “debt ceiling” bloodbath; parabolically rising debt – of all kinds; Bitcoin’s SegWit activation; escalating military tensions between China and India; and what’s this, for the first time in three years, positive gold money flow; the odds of the long-awaited “commercial signal failure” haven’t been this high since the height of the 2008 Financial Crisis. Only this time around, “history’s most overdue crisis” will not only be far worse, but irreversible – as now that Central banks’ ammunition and credibility have been destroyed, their only remaining “tool” will be the blatant, massive hyperinflation that will buy them but a few months at most; before first, the weakest currencies collapse; and ultimately, the world’s “reserve currency” as well. 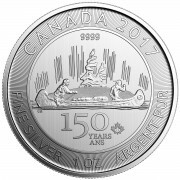 In other words, “it’s all going wrong” for a gold Cartel “on the precipice.” This, at a time of historically undervalued gold, silver, and platinum prices – which is exactly why not only are outright purchases a likely winning strategy, but the myriad physical swap opportunities I described yesterday (actually today, as I wrote that article at 1:00 AM). 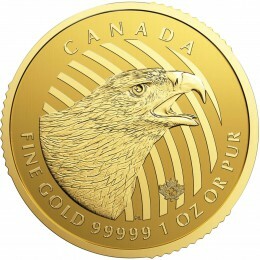 In either instance, Miles Franklin’s unparalleled experience in the Precious Metal business; unique storage services; and 28-year track record of not having a single registered complaint; not to mention, its headquarters residing in Minnesota – the only state to regulate bullion dealers; make it a wise choice to consider, if only for a free consultation. 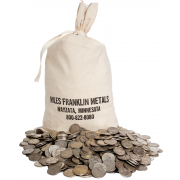 To that end, if you have any questions about the myriad, potentially generational investment opportunities in the Precious Metals space, please give us a call at 800-822-8080 – or email me at ahoffman@milesfranklin.com; and give us a chance to earn your business. Thank you very much for all your hard work and tireless effort to educate us, it has not been for naught! Your genuine honesty and truthfulness are a rarity and so refreshing in today’s insane world. And thanks for not taking the “usual” August break (like so many others) -as you rightly point out, the insanity doesn’t take a break. Andy, I do hope you’re right and we see the demise of the gold cartel soon and a return to free market PM prices – any thoughts on how the iminent launch of Andy Maguire’s Bullioncoin might impact things?